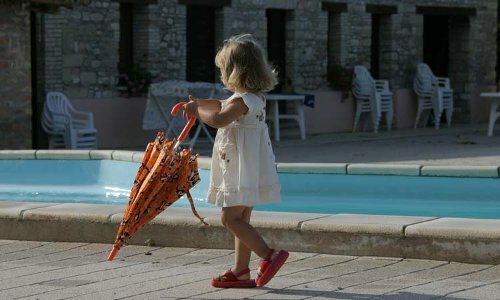 El Gatarel - Servizi e Proposte di attività all'aria aperta. 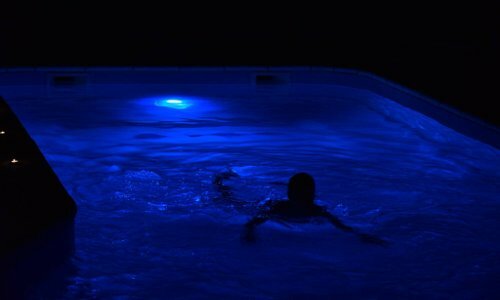 All our guests can enjoy our swimming pool which is deep in the green hills that surround our farmhouse. The sea is only a few km away, but the silence and the peace of being cuddled by the summer wind is just ideal to detox from daily stress. 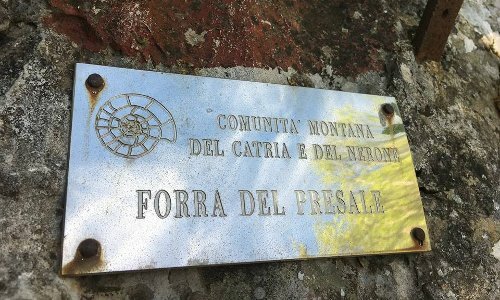 -- Il trekking del Metauro : it is a hiking trail that cuts across our territory right to the Furlo gorge which hosts real historical treasures such as Fossombrone, the ancient Flaminia road, the Mondavio Fortress and naturalistic areas such as the Cesane, Mount Paganuccio and Pietralata. 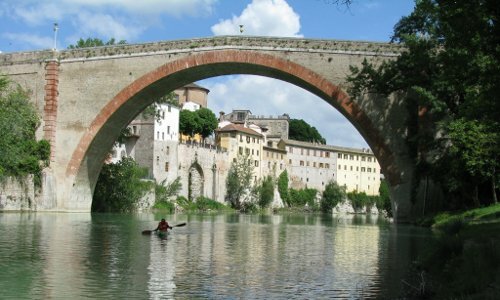 The itinerary develops as a ring on both sides of the Metauro river and you can walk it, drive along it, ride on horseback or on your MBK, no opportunity is ruled out so that everyone can choose the style they prefer. -- Il trekking dei Fuochi: is a tourist adventure over 300km long, a stage on which various actors and troupes follow one another, churches, monuments, fortresses and castles parade; then the companies arrive, the fields, the flowers, the paths; then the scenographers and the costume designers from the many historical and traditional re-enactment come along. 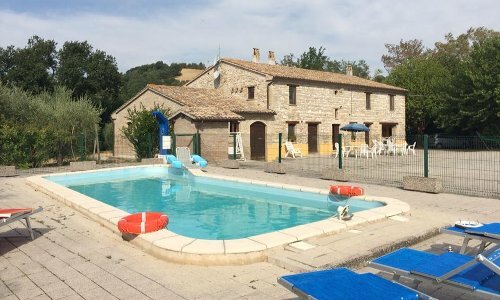 You come across treasure chests from the past like Fossombrone, Cagli, Pergola; you go through mountains like Mount Nerone and Mount Catria and Mount Petrano from which rivers like Metauro, Cesano, Burano, Biscubio and Candigliano are born. 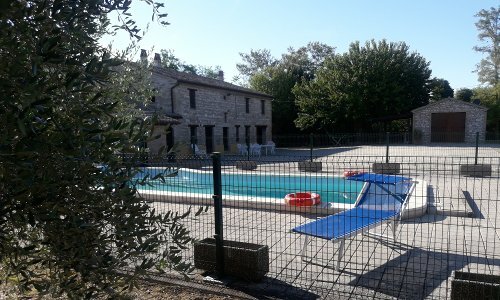 Our holiday farmhouse is hikers and cyclists friendly: it is possible to rent the entire facility for groups (hikers or cyclists) who want to explore these itineraries and we also give logistic support (supply of MTB, E-Bikes and contact with guides who work for the many companies on our territory). 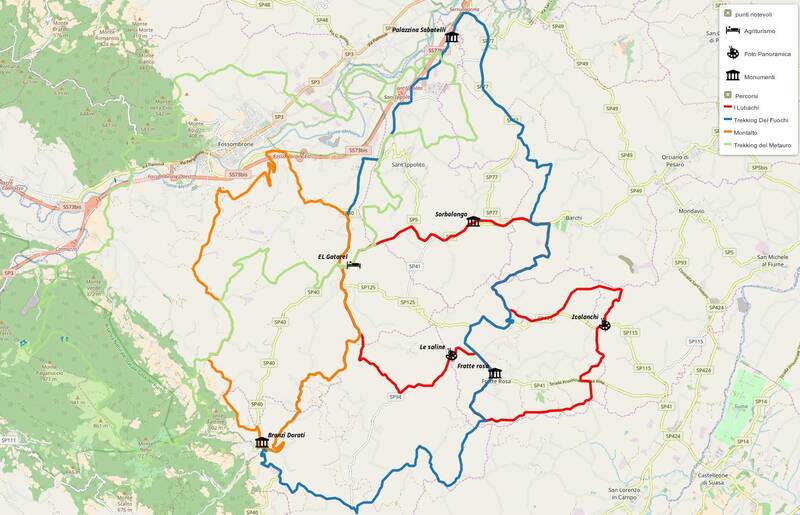 If you click on the following map you can see and download part of the paths (the ones closer to our farmhouse) from these 2 fabulous adventures and get an idea of the other kind of outdoor activities available nearby. 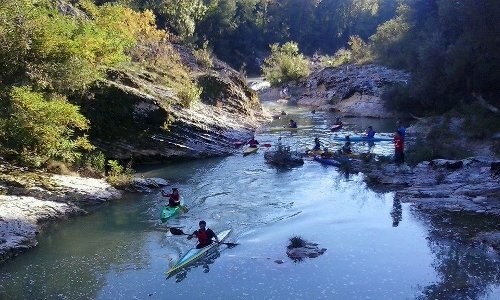 Escursioni in Canoa alle marmitte dei Giganti:Canoe outings at the Marmitte dei Giganti: in the territory of Fossombrone (where our farm is) it is possible to canoe down some parts of the river Metauro. 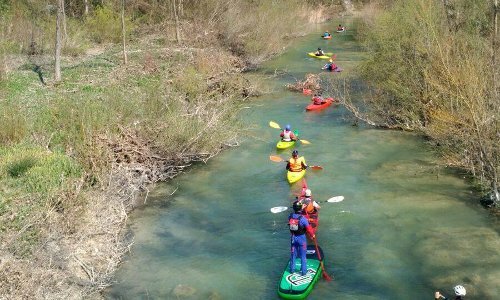 The Pro Metauro Association from Fossombrone is dedicated to the promotion of this part of the river and is able to accompany all visitors, even the less expert ones. 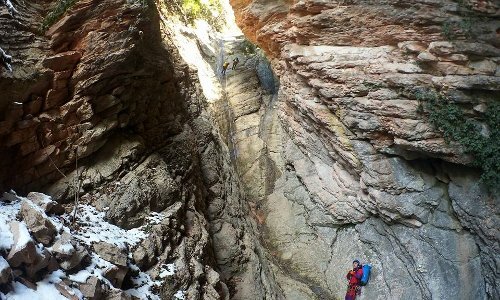 Cave and Gorge hikes: both Mount Nerone and the rest of the Le Marche Apennines offer the chance to hike in caves and gorges of the carbonate massif even for beginners. 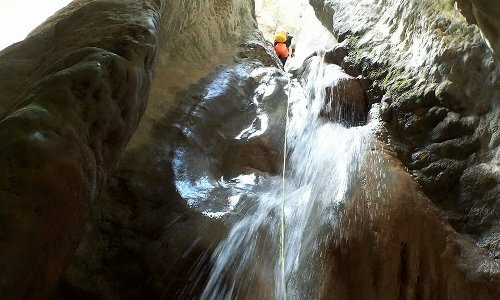 There are plenty of itineraries, more touristy like the Frasassi caves or more secluded but just as beautiful places where you can enjoy the sight of cave waterfalls or walk an underground path and experiment the contact with darkness and silence. 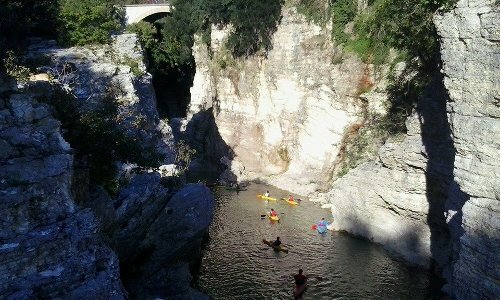 One of the Associations that take tourists both in caves and gorges is canyoningmarche.